Hello + Note from July 2, 2018: The state has a new portal, which looks a little different. I'm hoping to add screenshots of the new one sometime soon. Meanwhile, this post will still give you a good idea of the process. Thanks for your patience! Frustration Factor: If you use the SELF Portal, 3 out of 10. If you use the FileLocal, 6 out of 10. Use: Seattle SELF Portal (Recommended).........or FileLocal-wa.gov. This portal is being phased out...........scroll down to see Screenshots with FileLocal-wa.gov, the new portal. 3. 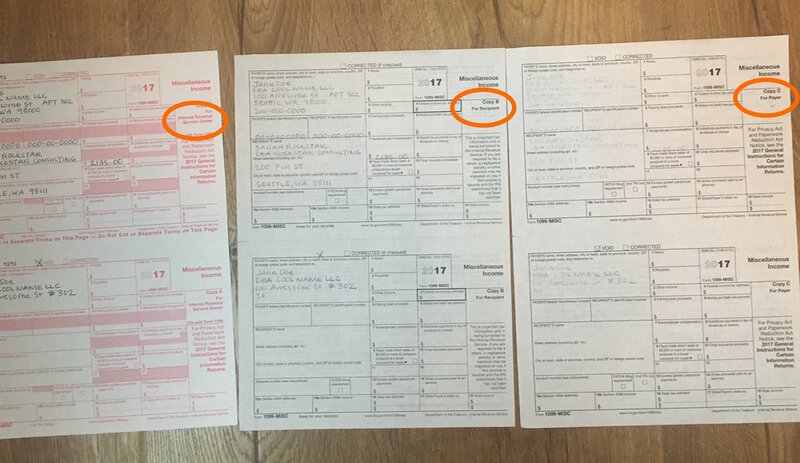 Number of forms. Put the number of filled out 1099-MISCs. There are two per page. If you filled out for 3 recipients, you'd write "3". • Estimated Quarterly Payments to the IRS - What are they? Do I have to send them? How do I calculate payments? What are estimated quarterly tax payments to the IRS? Why do I have to send them? I just had to make a report to Washington State and send in Sales Tax. Is this the same thing? Great question and No. Every level of government wants to tax you...and it's easy and reasonable to get them confused. Washington State - collects Sales Tax, B&O tax, and Use Tax. Some businesses report annually, some report quarterly. The Federal Government (IRS) - collects Income and Self-Employment Tax. We file an annual report, but we're asked to send in estimated tax payments throughout the year. This post is about tax payments to the IRS. 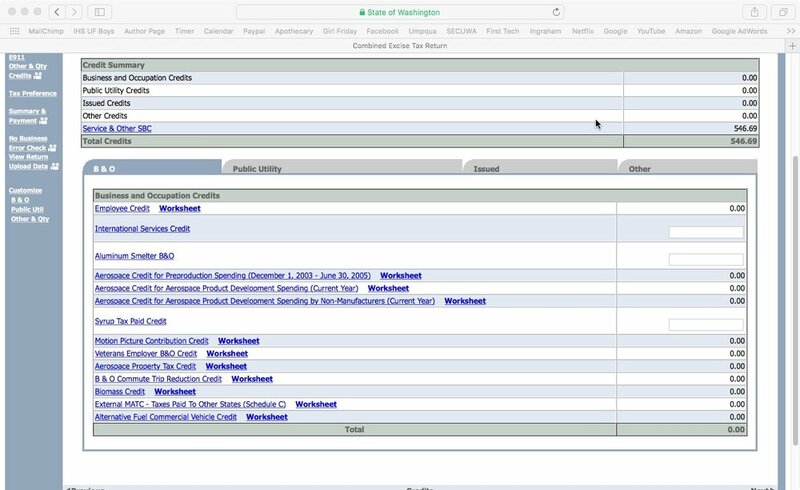 Do I have to send in the estimated quarterly payments (EQ$) to the IRS? What happens if I don't? Technically speaking, YES—the letter of the law is that if a person is doing business, they must send payments in each quarter. In some cases, if you don't send in your EQ$, you'll have to pay a penalty. The reality: I've met many self-employed folks who did not send in their EQ$ the first year, and they had no penalties, or the penalties were very low. Having said that, the IRS may choose to more vigorously enforce this rule at any time. How do I calculate payments? 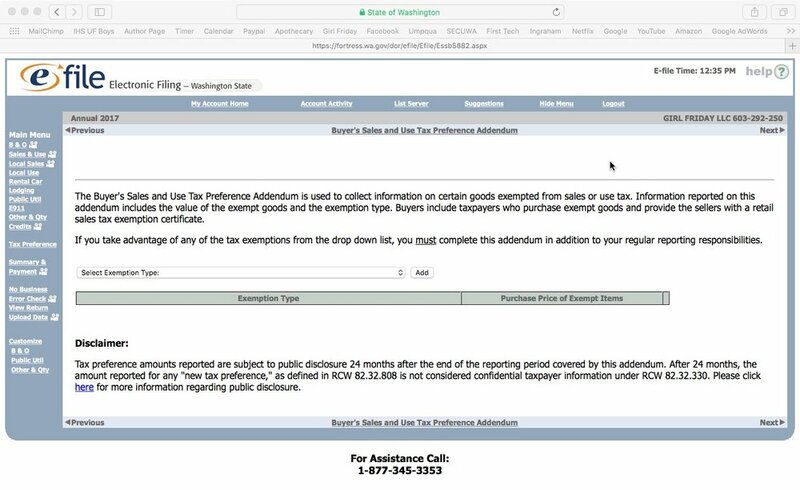 If you filed business taxes last year, usually your tax preparation software or accountant will provide you with a recommended amount for you to pay. It'll be based off of your earnings for the previous year. If you are a brand new business, you'll need to calculate an amount to pay. There's a formula and worksheet below. An important note: it's common for new businesses to grow quite a bit from year to year! Because of this, the estimate made for the quarterly payment can be too low. ProTip: Always transfer 30% of all business deposits into a savings account for taxes you may owe. (40% if you collect sales tax.) If what you're saving is more than what your EQ$ require, you can either....send in extra money for each EQ$. OR, hold the money in your account until you file your federal taxes. Click on the worksheet for a PDF version for download. 2. Estimate your costs of doing business. 3. Subtract the costs of business from your Gross Sales. 4. The answer is your Profit or Income. 5. Estimate your tax owed. Multiply your profit by .30. When are they due? How do I send them in? They are due on the following dates each year. If a date falls on a weekend or holiday, the deadline is extended to the next business day. You may submit payments electronically or through snail mail. Click here to read more on How To Submit EQ$. ProTip: Each year after you file taxes, print off all your Payment Vouchers. Find four envelopes and put stamps on them. Put these vouchers + envelopes in a visible place, for example, pin to a bulletin board, set on your bookshelf, or clip to your fridge. ProTip: Add these dates to your calendar right now: Jan 1, Apr 1, Jun 1, Sep 1. Prep and send your payments on these days. Do yourself a favor and send these payments in! If you skip these payments, it can be very tempting to spend the money from your account......leaving you high and dry next April! In addition to making your future brighter, it can feel very satisfying to mail the checks, and gives peace of mind right now. Read more on the official FORM 1040-ES info sheet on the IRS.gov site. Most of us are required to send in part of our federal taxes each quarter to the IRS. These are referred to as estimated quarterly tax payments (EQ$). There are two main things you need to know to send in your EQ$. • How much money to send. • How to submit payments. This post covers how to submit the payments. Click here to read more about EQ$ and how to calculate the amount. To download original calendar, click here. Thank you to scrappystickyinkymess.wordpress.com. Note: These are NOT due every three months. The time in between varies. Also, if the due date falls on a weekend or holiday, it is shifted to the nearest business day. > You may pay electronically. 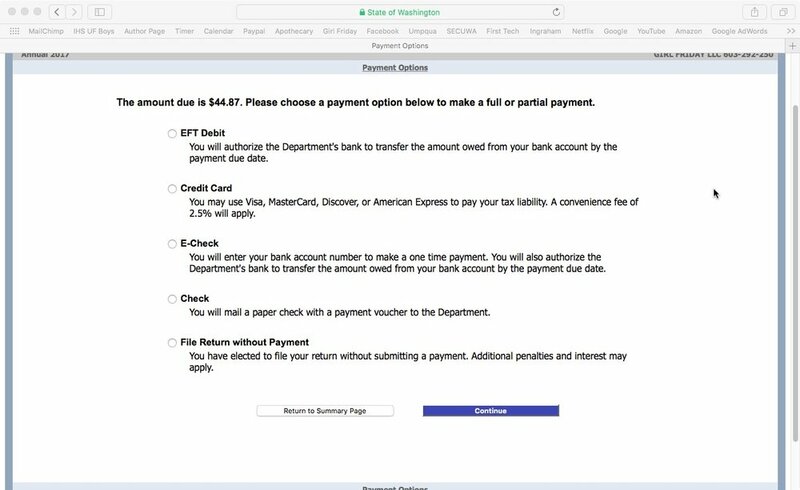 Click here to go to the Payment Page on the IRS.gov site. In most cases, there is an additional fee. There are several options: credit card, direct pay from your bank account, wiring, and more. > Or, send checks through snail mail. • Download from the IRS.gov site. 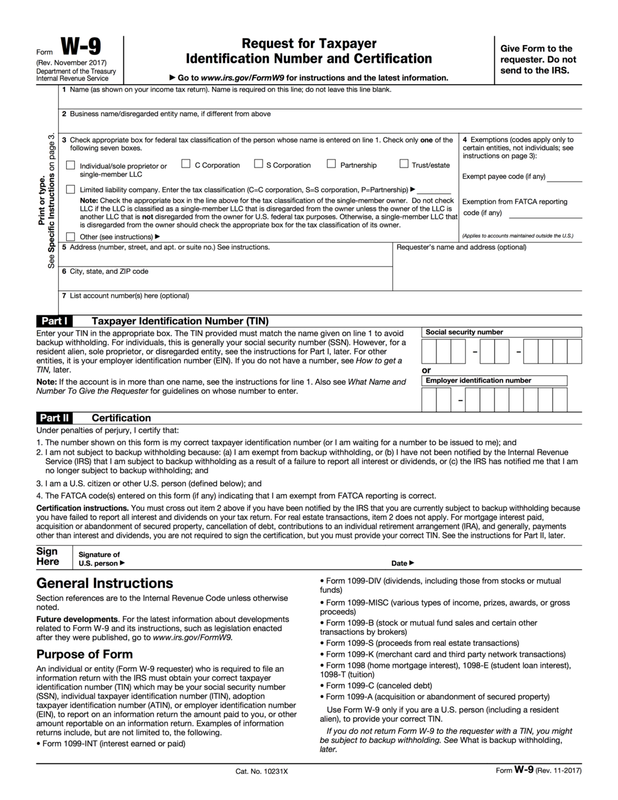 Click here to go to the Form 1040-ES page. Scroll to the bottom to get the vouchers. • Tax Software programs will often generate these for you after you file your taxes. 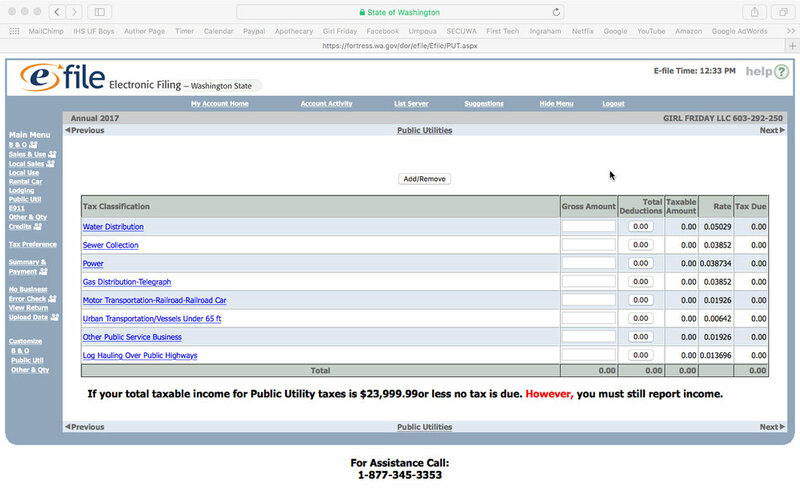 • IRS.gov - download from the website, scroll to the bottom to get the vouchers. 6. Be sure it is postmarked by the Due Date. 7. Make a copy of your check OR make a note of the check# and amount paid. Put in your file of business documents. Do whatever you can! Sending any amount...at any time, is way better than skipping this step. You can help yourself by marking these dates on your calendar: Jan 1, Apr 1, Jun 1, Sep 1....and taking 15 minutes to send these payments. If you're not sure how much, get a friend to help or just take a guess. You'll thank yourself next April, and can have more peace of mind in the meantime. Your first TAX season hoop is here! 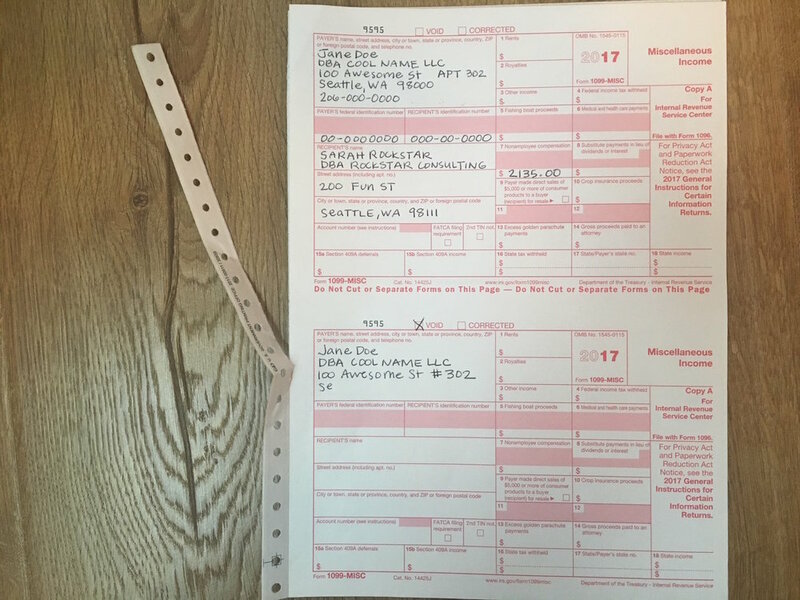 Renew your Seattle business license by December 31st. Cost is $55 if you earn under $20K, or $110 if over $20K (plus fees if you renew online). 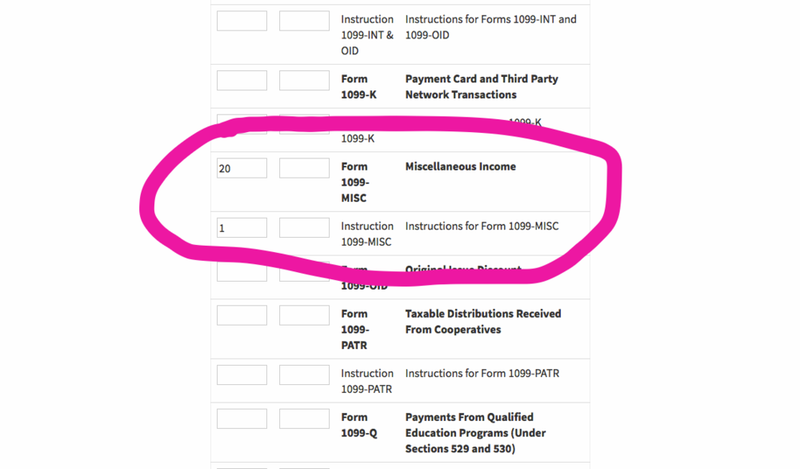 Not sure if you need 1099-MISC forms? Read about them here. 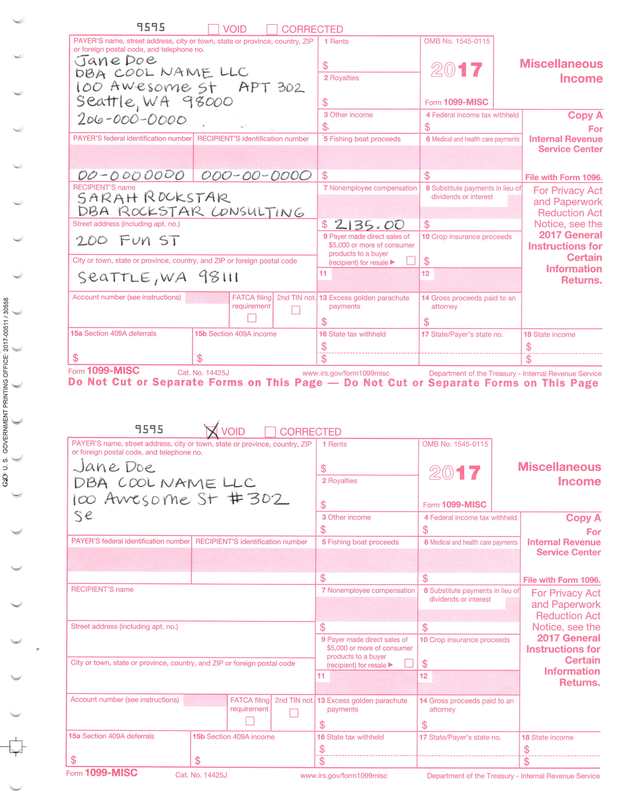 If you plan to use paper 1099-MISC forms (1099s for short), you'll need to order them from IRS.gov. It's not possible to simply print them off ... because they are carbon forms. Here are the steps. There are screenshots are below. 4. 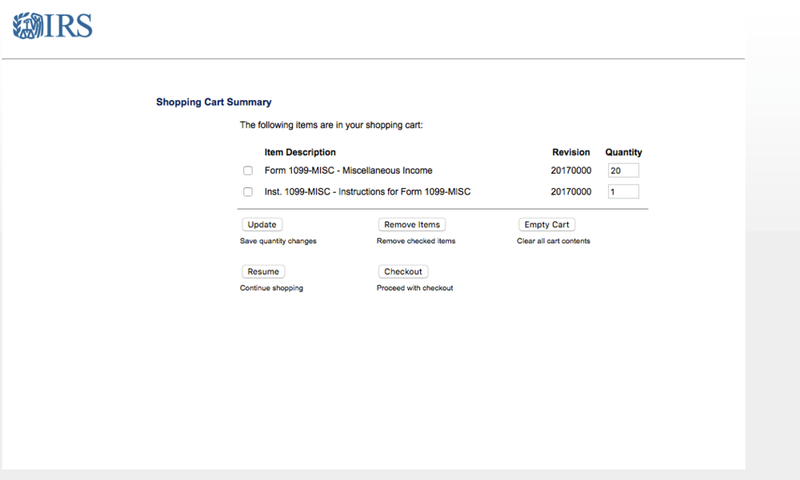 Select "Online Ordering for Information Returns and Employer Returns"
10. Scroll down to the bottom and select "Add to Cart"
The first picture starts on the "Order Forms and Pubs" page. The Chart of Forms - The actual chart is longer than what's shown here. The beginning of the checkout process. Great job staying on top of things for tax season! Would you like to receive friendly reminders for tax season ... delivered right to your inbox? Sign up for Sidekick Services! Asking for a small annual donation. • What are 1099s? Do they apply to me? Whenever people are getting paid, or earning money, the IRS wants to know about it! They have created a variety of forms to do just that. Just like a w-2 form is used to track an employee paycheck, 1099s are used to report other kinds of income. This refers to miscellaneous income—which is any time someone is paid for a service, and they are NOT an employee. For example, let's say Molly starts to teach yoga at her neighborhood studio, just one time a week. They pay her for each class, but do NOT hire her as an employee. At the end of the year, they would report all her earnings on a 1099-MISC. If you provide a service to someone or a business, then you would receive a 1099-MISC, if you meet the criteria. 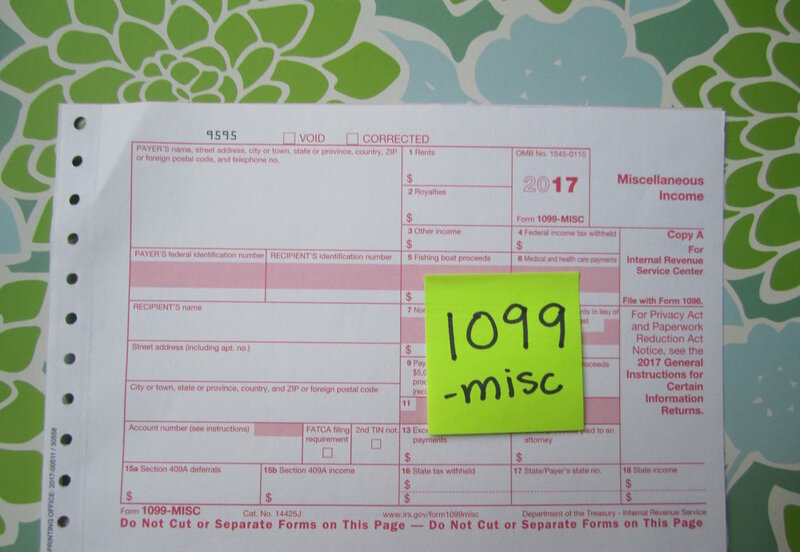 To read about more situations, click here to read about 1099-MISCs on the irs.gov site. Any time an individual—who's not an employee—is paid for a service, they are considered an independent contractors (IC). Sole proprietors and single-member LLCs are both considered ICs. It can also be a person without a business license, such as a neighborhood teen who mows your lawn all year round. 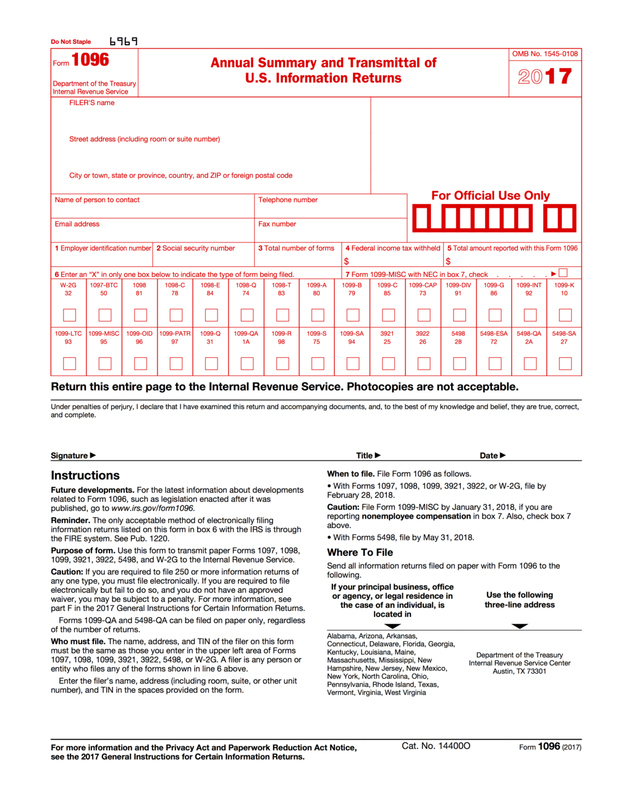 • You can order the 1099-MISC forms from the IRS for free, or you can purchase at office supply stores. • Order or purchase these early! They can run out. Add to your November or early December calendar. • If you fill out by hand, they will be carbon forms. - Copies due to the Independent Contractors January 31st. - Copies due to the IRS January 31st. • 1099s are usually accompanied by a 1096 form. The IRS will send this automatically to you if you order from them. Do not be alarmed! It is very simple, and acts like a cover letter. You DO need to send it in, along with the 1099s. 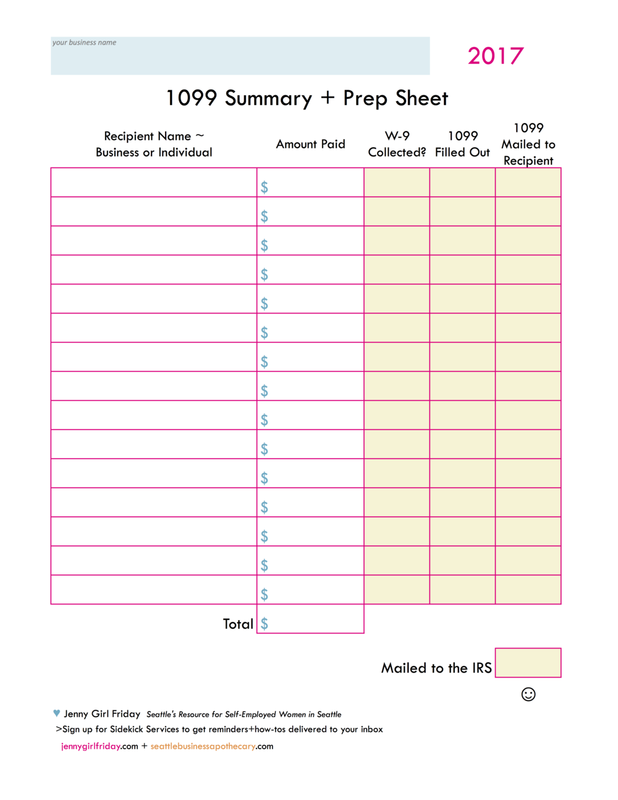 • To order 1099-MISCs from IRS.gov, click here. 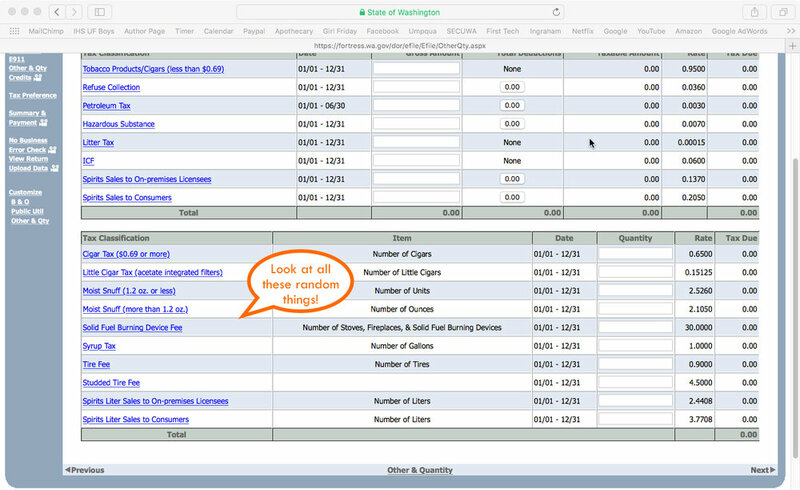 • Click here to see a walkthrough of ordering. If you're receiving a 1099, it means you got paid for something in the last year! If you're giving them out, it means you hired someone to help you or your business. These are good things! Whenever you're working with 1099s, it's nice to remember the experiences they represent.